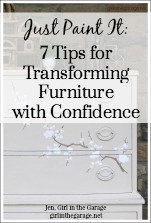 If you’re doing a market or antique booth and your main focus is furniture, it’s always a good idea to also offer some small and medium sized home decor items at different price points. 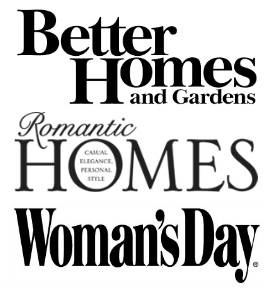 Just be sure to stay within your general style or design niche. After doing several markets now, I think I’ve settled on a pretty good mix of home decor items that I can upcycle to sell for profit. I first tried this project back in December (read the full tutorial Here) and I’ve since made many more! It’s become one of my favorite projects to create and sell. 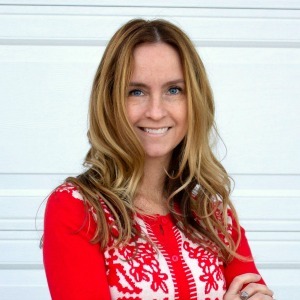 This post contains some affiliate links (at no extra cost to you) so you can easily find the products that I use and like. 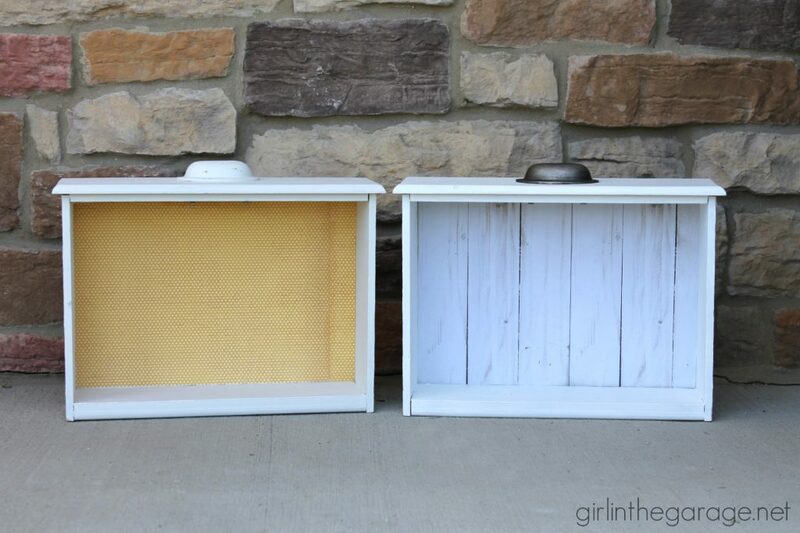 You need a wood crate ($8-10 from a home improvement store), Mod Podge, sponge brush, decorative paper napkins (there are links below for the ones I used), and sandpaper. 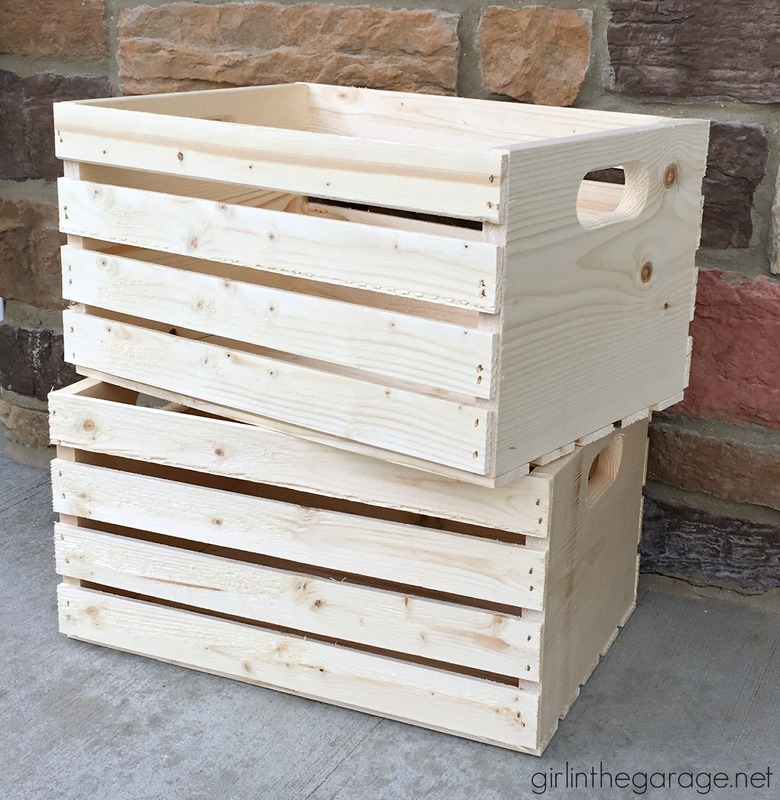 I won’t rewrite the entire tutorial for How to Decoupage Crates with Napkins again since it’s posted Here, but I will say that I don’t sand over the napkins nearly as rough as I did that first time. Now I mostly just sand around the edges of the wood to make clean, straight lines. It’s a bit of a messy project with the Mod Podge and the little scraps of napkins falling down after sanding, but I think the result is worth it. And so far I haven’t seen anyone else selling anything like these in my area. 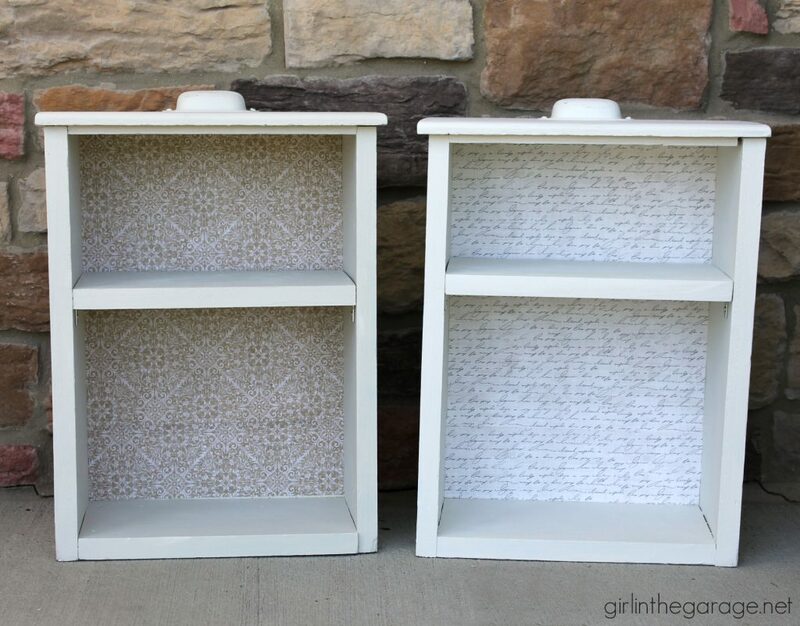 Bonus: I do a lot of neutral furniture makeovers so these add a needed boost of color to my space! 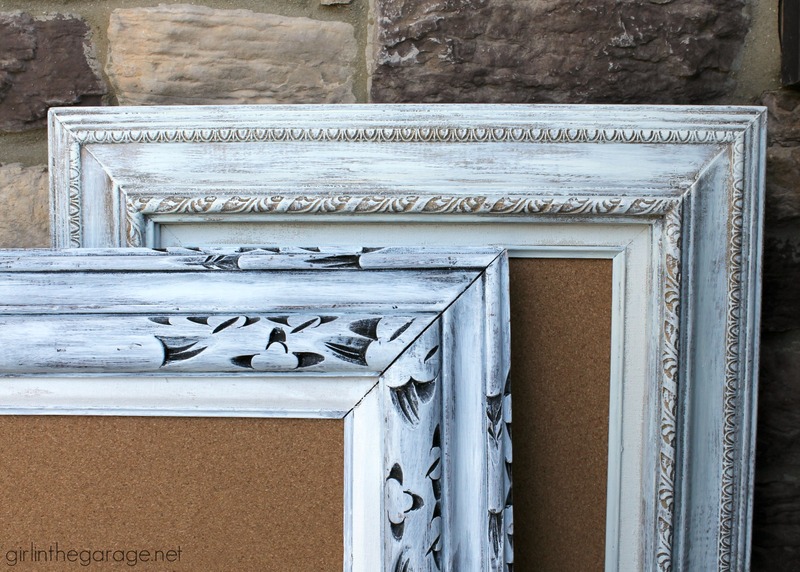 I try to find frames that have really pretty details and would look beautiful with lightly dry brushed paint. The goal is to highlight the details and even let some of the original finish peek through. These are a more recent project we started doing (see the first few shelves I did Here and one with a door we added Here). 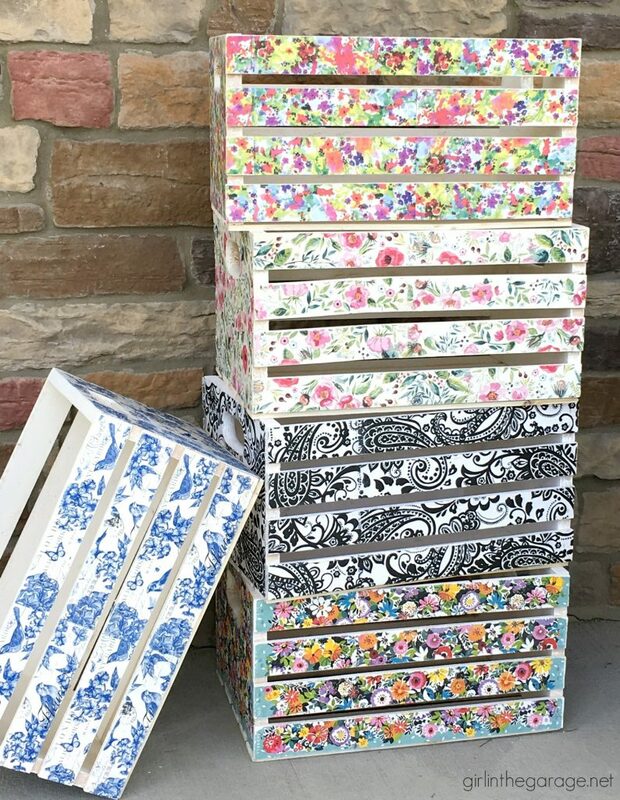 You just need old drawers that are in good shape (with or without pulls), Mod Podge, paper of choice, and then we like to add a shelf if there’s enough room. You can also add some hardware on the back for hanging. Do you have any products you make consistently for selling at markets or in a booth? I’d love to hear your thoughts in a comment below. Also, please share this post so it can inspire others too! **One last note…. 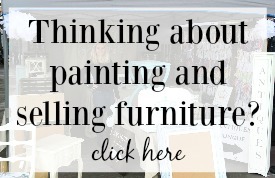 I’m creating some epic info just for you guys who want to learn more about running an antique booth or a vintage market space – be sure to sign up so you’ll be notified when the posts are available! 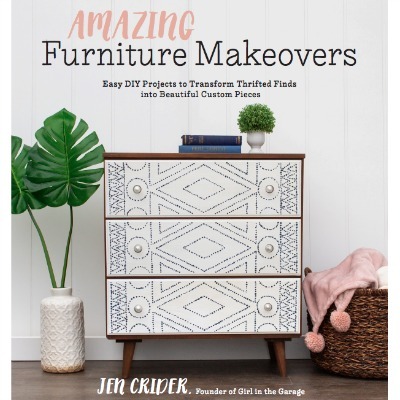 —> Click here to be notified when I have new content available about selling upcycled furniture and decor for profit. 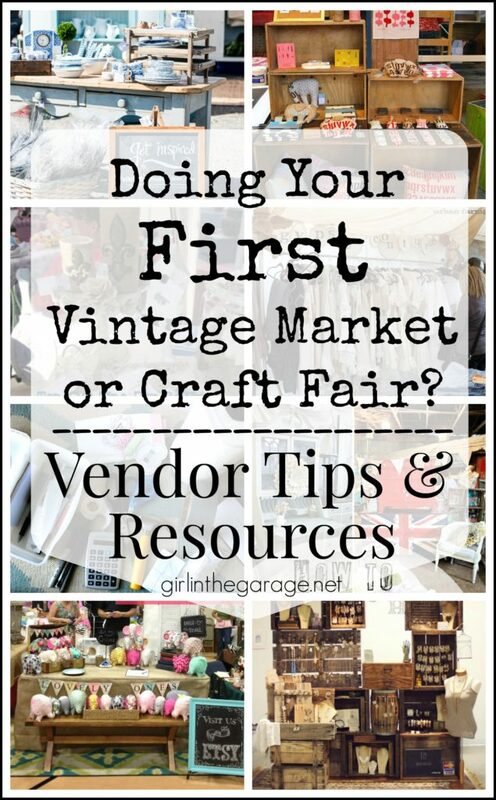 Are you doing your first vintage market soon? Click below for vendor tips and resources. 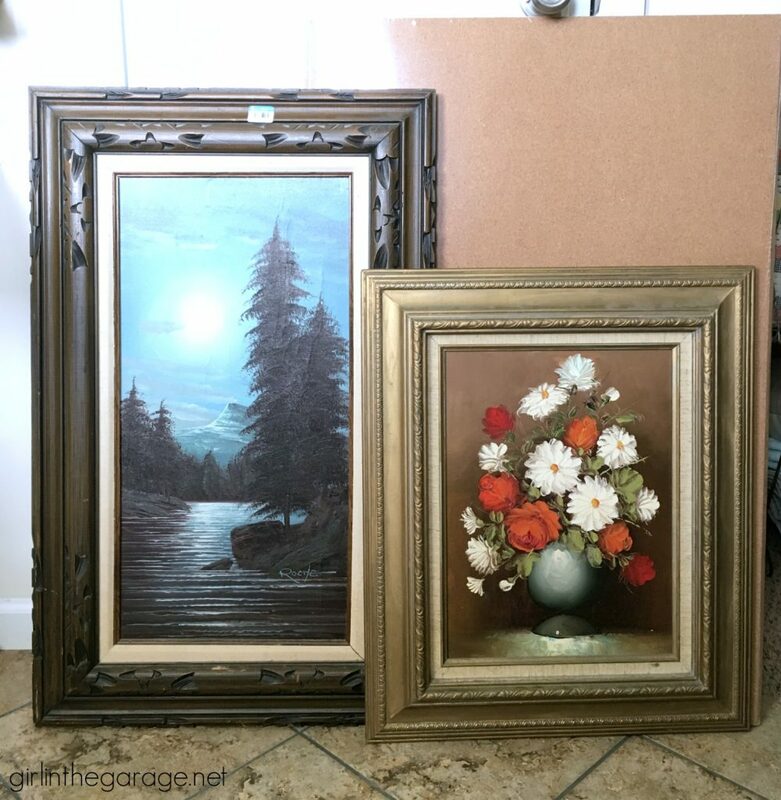 Was the oil painting of the flowers signed? Just wondering. I don’t see a signature on it. It looked similar to an artist I am familiar with. I have to look up her name. I’m blanking on it just now. Would you consider selling it? I love the colors. Sarah, I’m sorry but I don’t have the print any longer. It must’ve been in the box to donate. It was pretty but didn’t go with any of my decor. i love the boxes and I actually use them as part of the display in my booth. I love the colors on them. Oh yes Jolinda, great idea to use the crates as display pieces also! I love the decopauged crates! How much do you sell them for? Thank you Susan! I price them at $25. I love the crates! Thanks for sharing. I love all your ideas. 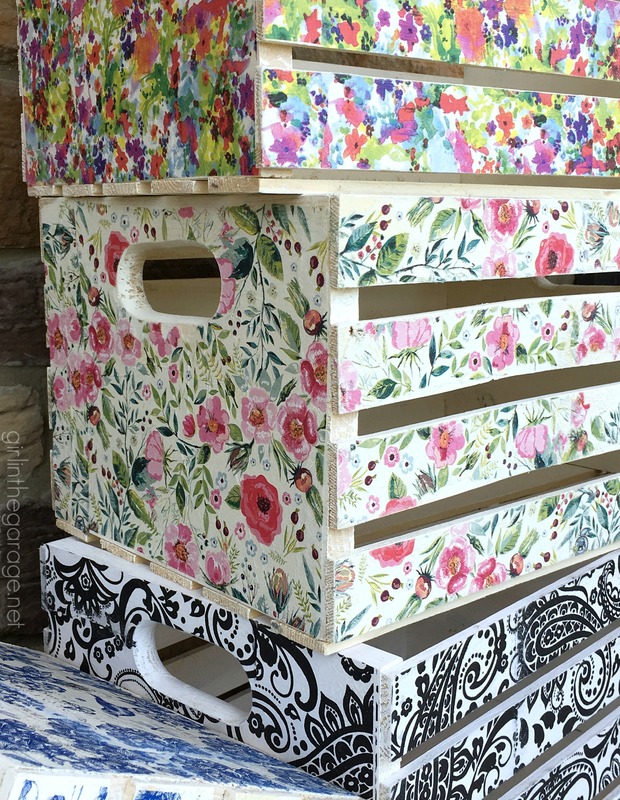 My favorite is the decorated crates. Those crates are so cool. It gives a huge impoact with those stacked up like that too! I find a lot of medium to smaller frames from Goodwill, thrift stores, and rummage sales. I remove the glass and backing, then I paint the frames. I either dry brush (white, cream, light blue, gray, or black) or I fully paint the frame then distress it to show the ornateness of the frame. I hang these (just the frame-no glass or backing) in my flea market booth. I have a few hanging on a pegboard with either a smaller framed picture inside, a smaller similarly painted frame inside, or a letter (like a “J”) inside to show what can be done with these. Sometimes I layer a bunch on shelf too. I usually sell out before I can get more in stock. 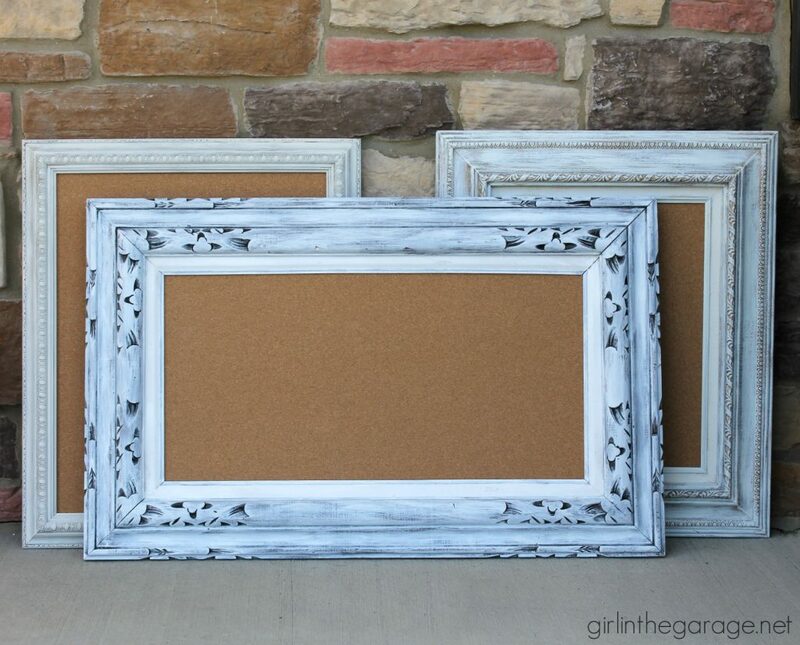 These are super quick and easy and I can usually find these frames for $1 or less most places. So, it is a decent profit. If I find bigger less ornate frames, I do the same thing, but the profit isn’t as high. Awesome – thanks for sharing, Justin. I’ve seen other vendors selling empty painted frames and I’ve wondered how well they sell. I may have to try that sometime! 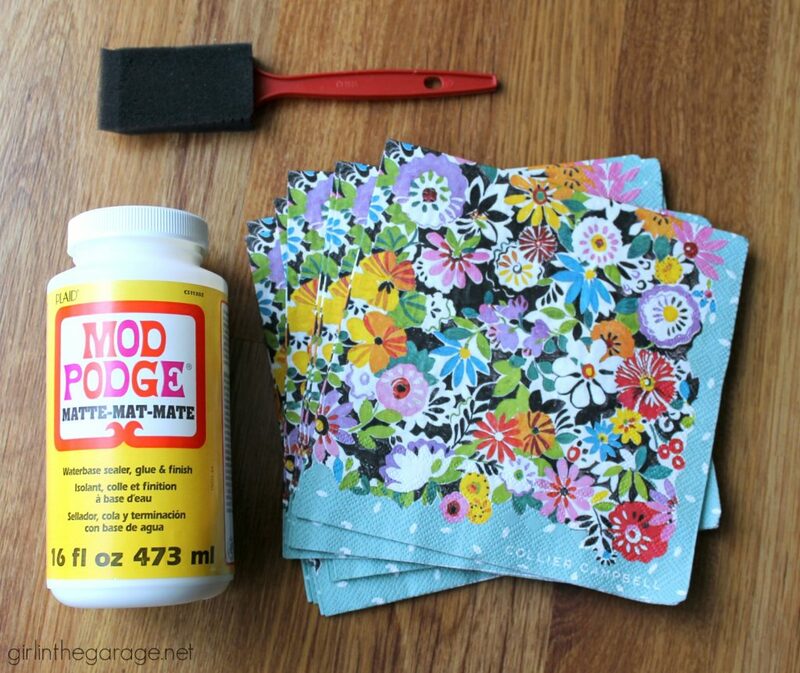 I can’t seem to find pretty napkins like those. Where do you find them? I love them! Thank you Rhonda! I included the links in the post above to order those napkins on Amazon. You may also find some at party supply stores. Try Homegoods or Tuesday Morning! I am working on my first crate right now. (Just waiting for the Mod Podge to dry.). I love how it is looking. Thanks for the great idea. I found my napkins at Hobby Lobby and with their coupon they were a great price. After having a daughter go to college for the first year, when I look at your post, I saw the college girl/guy as a strong audience for you (in case you had not thought of focusing on that audience). They cannot hang shelves, but yours stand up alone. All adorable!